• Christian Ponder sure seems miserable, reenacting great movie scenes with his great-looking wife for Halloween. Poor guy. • Here's my follow-up question: What kind of maniac carpets over a giant, hand-painted Monopoly board in the first place? • Maggie LaMaack of L'étoile Magazine interviewed me about Twitter addiction, over-sharing on the internet, my favorite people to follow, and my idea for a new kind of online dating. I'm always looking for any opportunity to talk about something other than baseball, so it was a fun chat. Also, you should follow LaMaack on Twitter because she's great even though we're currently feuding. • As a wise man once said: "Double-check the quotes you get off the internet." • I'm officially part of The One Percent. • I went to a Jason Isbell concert at the Varsity Theater last Friday night and it was amazing. Best show I've ever seen and I can't imagine someone being better. So much talent and energy and passion (plus his wife, Amanda Shires, is an awesome, spectacular-looking fiddle player). I'm already looking forward to Isbell's return to Minnesota at First Avenue in February. • I'm crushed by news that Tom Scharpling is ending "The Best Show On WFMU" after 13 years. It's been such a brilliant, unique listening experience and Scharpling is one of my heroes. • Congrats to Colin Wyers, who's leaving Baseball Prospectus for a gig with the Houston Astros. I was sitting next to Wyers in Anaheim for Mike Trout's first career hit and I remember thinking at the time that two of the three people involved in this story will go on to big things. 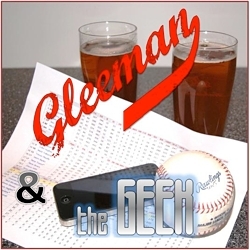 • On this week's "Gleeman and The Geek" episode we discussed Paul Molitor joining the Twins' coaching staff and Terry Ryan's maddening quotes before welcoming special guest Randball's Stu for the final 30 minutes of pre-Isbell excitement (and confusion, for John Bonnes). Maybe the Twins should try wearing costumes next season. Can't be much worse. • Like everyone else in life, Robert De Niro really just wants to be understood. • Would it be weird if I brought this on dates? Just want to get it right, you know? • I'm not sure that any of these "reasons you should love guys with beards" actually make much sense, but we can use all the help we can get. • I'd laugh, but this could easily be me with the Twins some day. • The bad news for Nate Burleson is that he crashed his car and broke his arm while trying to keep a pizza from sliding off the seat. The good news is that he's been offered a free year's supply of pizza. The worst news is that the pizza is DiGiorno. • My mom sent me this link and said: "Your room is still available!" 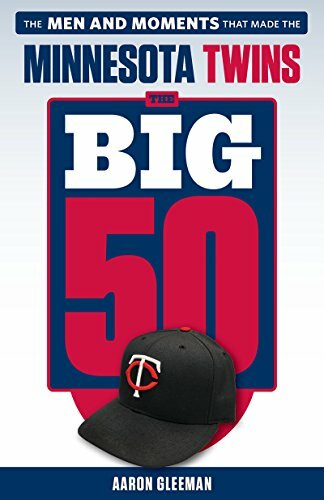 • TwinsFest is switching from the Metrodome to Target Field, so the Twins are capping attendance among lots of other changes. We're still planning to host a Twins Daily/AG.com get-together. • LaVelle E. Neal III of the Minneapolis Star Tribune is the new Baseball Writers Association of America president. • Video rental stores were a massive part of my childhood, but that window has closed. • Why would a 25-year-old quit baseball after making his MLB debut? • This is what I'll be doing everywhere I go throughout Movember. • I'm totally useless in the kitchen, but this can't possibly be real can it? Obviously the music adds a whole new dimension. Also, hopefully "Gleeman and The Geek" listeners realize that I am sparing you some details. • What exactly do the Twins have in Brian Dozier? • Ron Swanson fans will love this. • Johnny Knoxville's chat with Marc Maron was lots of fun and led to me discovering through research (Wikipedia) that his real name is Philip Clapp. • I retweeted this Sam Miller masterpiece during the ninth inning of every Red Sox playoff game. • "Stop Podcasting Yourself" with Graham Clark and Dave Shumka is my favorite podcast and this week they had on their most consistently delightful guest in Alicia Tobin. • Amber Tamblyn and Todd Glass were an amazing guest combo on "Comedy Bang Bang" with Scott Aukerman. • I listened to this whole thing just to hear them say my name. - "Cory Cove is a punk"
- "Who is Big Papi?" - "Guide to sports podcasting"
- "Best shoes for men over 400 pounds"
- "How fat is he?" - "Tom Scharpling vs. Howard Stern"